2004 was a remarkable year for the online gambling industry. 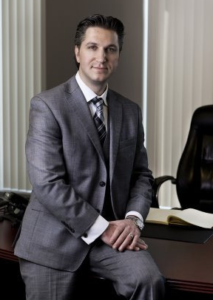 That was the year David Baazov founded Amaya Gaming; current owner of the Canada online poker giant, PokerStars. It was also the year PokerStars rose to top-tier status as a global operator. Today, Amaya is the absolute largest online gaming group in the world, attributed to the firm’s doggedly ambitious founder and (until earlier this year) CEO. After a decade of building the Montreal based company, Baazov made an unprecedented move in 2014 to acquire PokerStars for $4.9 billion. The only mistake he may have made – one he surely wishes he could take back now – was taking Amaya public on the Toronto Stock Exchange (TSE : AYA) so many years go. Baazov’s number one desire is to return the company to privatization. However, he only holds 17% of the company, and is no longer the CEO following an investigation into insider trading by securities regulators in Quebec that prompted him to step down from that esteemed position. In order to capture his dream, David made yet another unprecedented move, submitting a bid to buyout the Canada online poker giant for a collective value of $6.7 billion. That figure included a combined $4.1 billion from himself and investors, offering CA$24 per share, plus accounting for debt. However, his initial bid unraveled when one of the funding backers listed in his submission, KBC of Dubai, denied any knowledge or involvement in the deal. A second fund turned out to be a defunct company once based in the Caribbean. Ever diligent, Baazov sought new investors. He submitted a second, equally affluent bid for the company. But again, the cards were not stacked in his favor. The head of SpringOwl Asset Management, an investment group and minor share holder in Amaya Gaming, wrote a scathing letter to the board, denigrating David Baazov’s efforts to take over the company. He claimed the offer was well below value, and criticized the lack of transparency surrounding the bid. With little other alternative, Baazov made the only sensible decision. He has withdrawn his bid for the company, citing the expected value from some shareholders is far more demanding than what he is willing to pay for it. With so much controversy revolving around the PokerStars parent, market analysis has been sketchy, at best. Bloomberg reported the company’s value sunk to its lowest position for the month, dropping to as low at CA$17.90 per share on Tuesday. He didn’t elaborate any further, but considering how volatile the Canada online poker giant’s value has become, his withdrawal could have a lot to do with stabilizing Amaya’s position in the market. After all, despite resigning from his CEO position earlier this year, he still carries a significant stake in the company. It’s doubtful that Baazov is giving up on his endeavor to take Amaya private. He may just be biding his time, waiting for a more opportune moment to present a new bid with greater transparency.